short girl, long island. : Shabby Apple $50 Giveaway + Coupon Code. I love dressing up once autumn hits - its all I can talk about lately. This contest couldn't have come at a better time. Shabby Apple, an online retailer that is known for gorgeous, vintage-inspired dresses, is giving one lucky reader $50 to spend on a fantastic fall frock [say that fast ten times]. They are also being super generous + giving readers 10% off for the month of October, when you use the coupon code shortgirllongisland10off. If you've never been to Shabby Apple, head on over. 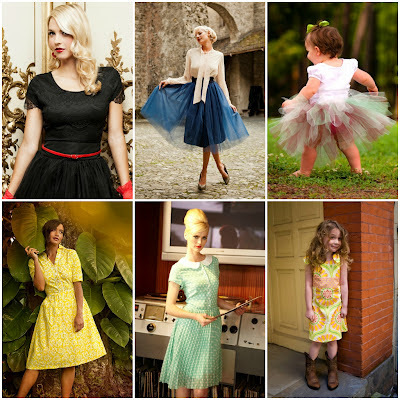 They have dresses for the ladies, little ladies, + for ladies expecting little ones. The shop also boasts an array of accessories + is even selling athletic + swim attire now. The contest will end on Friday, October 19 at 11:59 PM EST. Winner must have a US shipping address to be eligible for entry. Leave a separate comment for each entry. There is one mandatory entry + twelve bonus entries. You can complete as many additional entries as you would like. Each comment equals an entry. 01. "Like" Shabby Apple on Facebook [Mandatory entry]. 02. Visit Shabby Apple + leave a comment, telling me what you would buy if you won the $50 gift card. 03. "Like" short girl, long island. on Facebook. 04. Follow short girl, long island. via Google Friend Connect. 05. Follow short girl, long island. via Bloglovin'. 06. Follow me on Twitter + leave a comment with your username. 07. Follow Shabby Apple on Twitter + leave a comment with your username. 08. Tweet about the giveaway, including a link to the blog giveaway page. Make sure to leave a comment with the link to the tweet. You can do this as many times as you want, as long as you post the links for each tweet. 09. Follow me on Pinterest + leave a comment with your username. 10. Follow Shabby Apple on Pinterest + leave a comment with your username. 11. "Pin" this blog post onto one of your boards + + leave a comment with the link. 12. Follow me on Instagram [stellarmichele] + leave a comment with your username. 13. Post the photo below on Instagram + use the hashtag #SGLIShabbyApple. Comment each time you do this - you can post as many photos as you want, as long as they are still up on Instagram when the winner is chosen. Make sure to leave a separate comment for each entry + if you have any questions, don't hesitate to ask. Good Luck! Update: After going through entries, there were 287 that were in before the end of the contest. 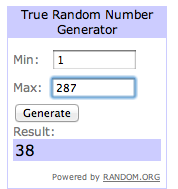 The winner is #38, Hilary. Congratulations! If I won the giveaway I would get the Alice dress from the mad hatter collection. I am loving mint green right lately! I would love to have the Francine skirt!! I like Shabby Apple on FB. Thanks for the fabulous giveaway! And I LOVE the Arripidae and Overboard dresses. Thanks again. Love the Race Point skirt. Clever name, by the way! I follow you on Bloglovin' (valhoff 3 at yahoo dot com/mamavalveeta03) And I wish someone would tell me where to find my "username" on Bloglovin'!!! LOVE LOVE LOVE Spanish Steps from Roamin' Holiday! I like the beauty mark dress! Following Shabby Apple on Facebook. I would buy the Bookworm dress. Oh la la! i follow SA on pinterest. I LOVE LOVE LOVE LOVE did I mention love, Shabby Apple on facebook already. <3 Shabby Apple forever! I have a pinterest board that I created of my favorites. I really like the Espina Bonita dress (currently not on the website as it comes and goes) and the Ingrid dress. I like the aphrodite dress. Great stuff! I liked SA on Facebook. Following the blog on GFC. I adore the Ms Porter dress! I "like" Shabby Apple on Facebook as Erin A.-L. If I won, I would get the Orient Express dress. I follow Shabby Apple on Twitter as @one_of_three. I follow Shabby Apple on Pinterest as erin1of3. "Like" short girl, long island. on Facebook.